This is the Medium Icon view, but regardless of the views available including Content view only icons are showing up. 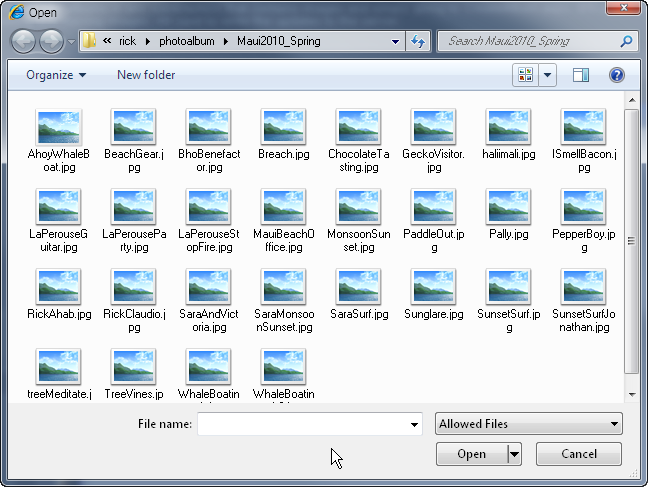 which obviously works a whole lot better for selection of images. The bummer of this is that it’s not controllable at the dialog level – at least not in Silverlight. 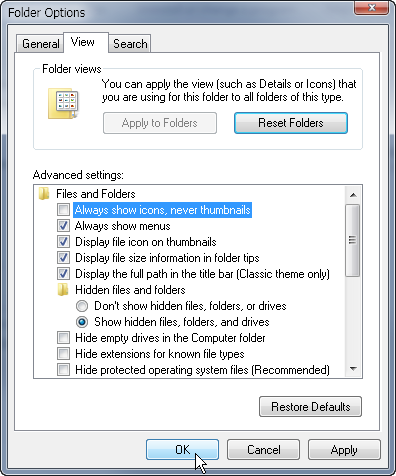 Dialogs obviously have different requirements than what you see in Explorer so the global configuration is a bit extreme especially when there are no overrides on the dialog interface. Certainly for Silverlight the ability to have previews is a key feature for many applications since it will be dealing with lots of media content most likely. Hope this helps somebody out. Thanks to Tim Heuer who helped me track this down on Twitter. 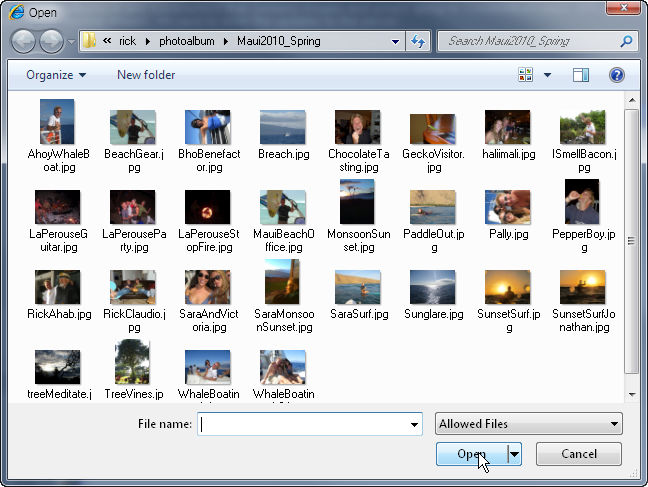 Have you seen the runaway random Explorer views in Windows 7? I used to get them all the time in Vista, but on the two machines I've upgraded to 7 and the one clean install, I haven't seen this problem once. This very useful post made my day! I had been trying to get a preview of my pictures for so long now... and here I ran into this nicely organized post that solved my problem. Thank you so much Rick & Tim!